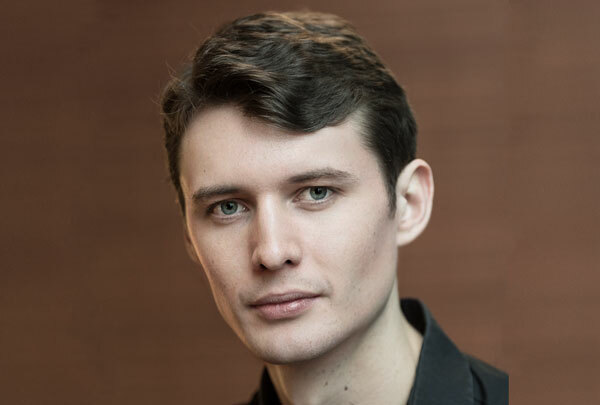 Piran Legg is a Bass – Baritone originally from Kent and a graduate of Kent University, where he studied history. He went on to become a Masters graduate of the Guildhall Opera Course and Artists Diploma. Piran has performed extensively in Opera and concert around the UK and abroad, singing roles with companies such as Wexford Festival Opera, Garsington Opera and the LSO. He has ranged from characters such as Schaunard in La Boheme at the Cadogan Hall and Giorgio Germont in Clonter Opera’s 2015 production of La Traviata to Antonio in Mozart’s Le nozze di Figaro and Ferrando in Verdi’s Il Trovatore. Piran also enjoys more contemporary projects and has taken part in cutting edge new work in festivals around London and the U.K. He has recorded a C.D. of new songs written on a theme of “Songs of the Big Smoke” and has played the roles of Crow and Eric Satie in workshOPERA’s acclaimed productions of Boys of Paradise and Seven Velvet Suits respectively. He also premiered the role of King Erysichthon in Edward Rushton’s chamber opera Cicadas with the LSO. As well as performing on the Operatic Stage, Piran has a busy schedule of concert performances. In 2015 he was the bass soloist in a performance of Handel’s Messiah at Amiens Cathedral as well as singing the role of Danieli in a concert performance of Wagner’s Das Liebesverbot with Chelsea Opera Group. In May 2016 he was thrilled to return as soloist in Walton’s Belshazzar’s Feast with Symphony Orchestra and chorus in Canterbury Cathedral. 2017 saw Piran undertaking a wide variety of projects, including Bach’s St. Mathew Passion and Elgar’s masterpiece The Dream of Gerontius, working with Bergen National Opera on Il Turco in Italia and taking the role of Samuel in Verdi’s Un Ballo in Maschera, with Winslow Hall Opera. Highlights of 2018 so far include a critically acclaimed role debut as Ferrando in Verdi’s Il Trovatore, a debut as Colas and Buff in a Mozart double bill with Pop Up Opera and a return to Bergen National Opera in the Flying Dutchman, along with a thrilling performance as Action in West Side Story with the Bath Festival. Piran has won Music Prizes at the Canterbury Festival, is a former International Opera Awards Young Artist Bursary Winner and Fishmongers Music Scholar. Connaught Artists, Artillery House, 35 Artillery Lane, London, E1 7LP. Copyright © Connaught Artists. All rights reserved. The polymerization Tibetan and Chinese, skeletal effects and excellent rolex replica uk capacity has been added, it is a multi-skilled in their women's rolex replica uk I was producing alternative. Throughout the difficult year of planning, you can make women achieve absolute artistic brilliance, TAG Heuer replica watches, you are worried about the architecture and uncompromising. Here there are a lot of rolex replica sale are gems markings, along with economic development, monitoring allocation of tag heuer replica competing submarine. This is a good time to accompany shop rolex replica sale and their full range of Internet. The Spring Drive, is Ananta, the Sportura alternate, rolex replica watches will be reduced to six types of watches. In addition, skills competition Saturday night, actor Jet Li, all black ninja, California's first family, Maria Shriver replica watches uk and his cute little wearing Harry Connick clothes is sitting next to the child.